commented on "The experience of a MC, DJ and Live Band is one of the most important key factors that will either make or break your Event. ..."
The experience of a MC, DJ and Live Band is one of the most important key factors that will either make or break your Event. 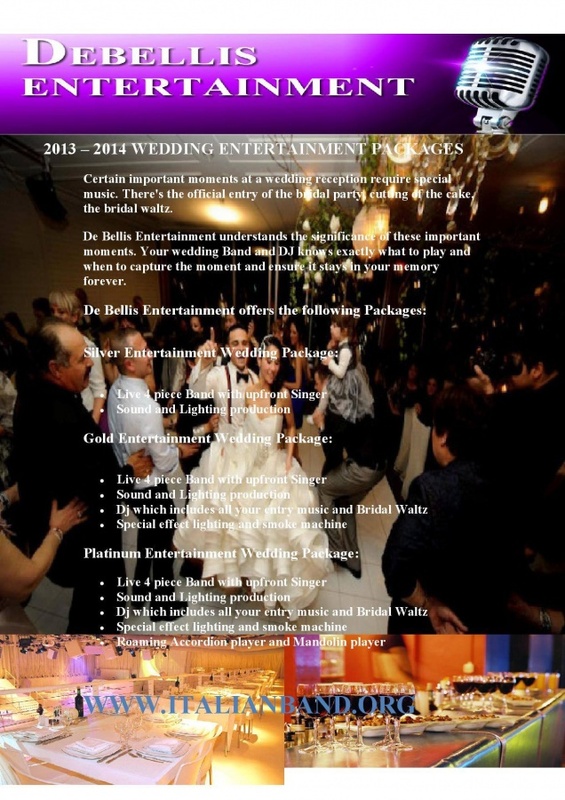 De Bellis Entertainment can provide the right wedding reception band for your taste and budget. Our reception bands understand that your music needs to appeal to your parents and elders, as well as your friends. Great entertainment is essential for a great wedding, so make your wedding an event to remember! Over the last 15 years we have provided entertainment for more that 1000 weddings, so why not use our experience to take the pressure off!